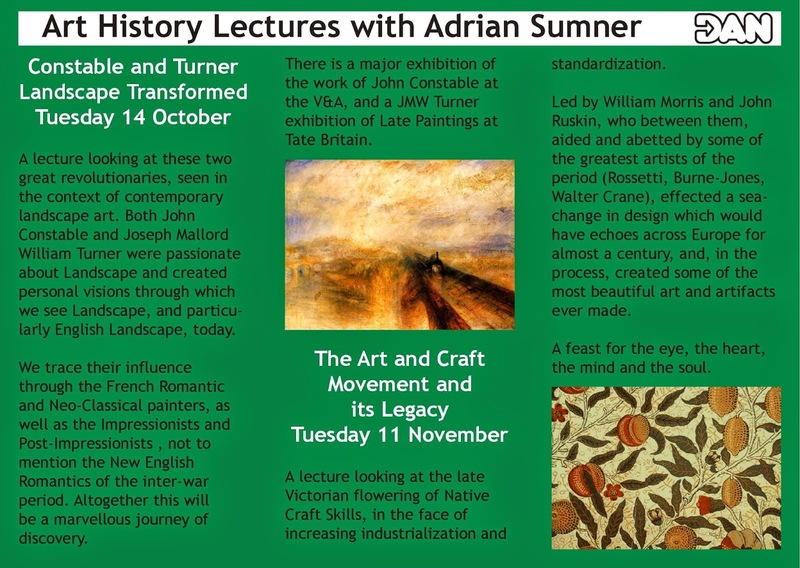 A lecture looking at these two great revolutionaries, seen in the context of contemporary landscape art. 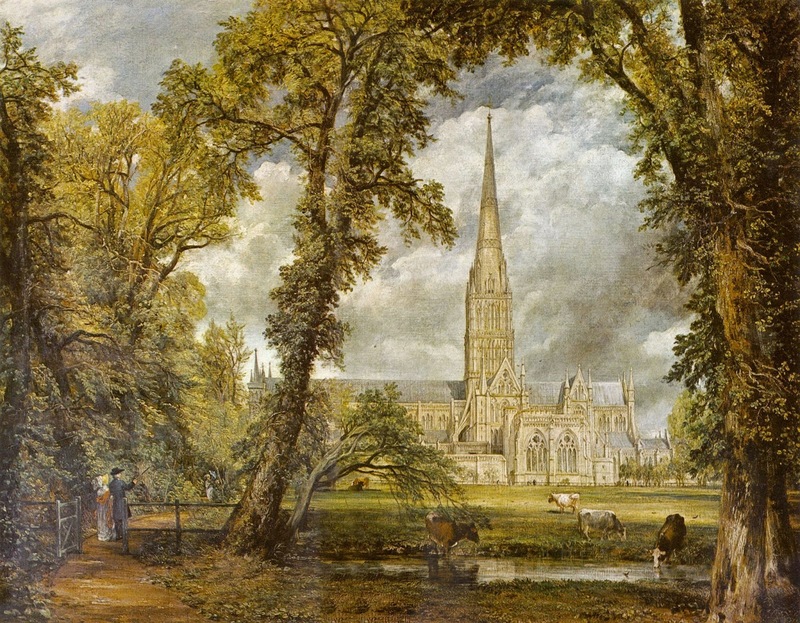 Both John Constable and Joseph Mallord William Turner were passionate about Landscape and created personal visions through which we see Landscape, and particularly English Landscape, today. We trace their influence through the French Romantic and Neo-Classical painters, as well as the Impressionists and Post-Impressionists, not to mention the New English Romantics of the inter-war period. Altogether this will be a marvellous journey of discovery. 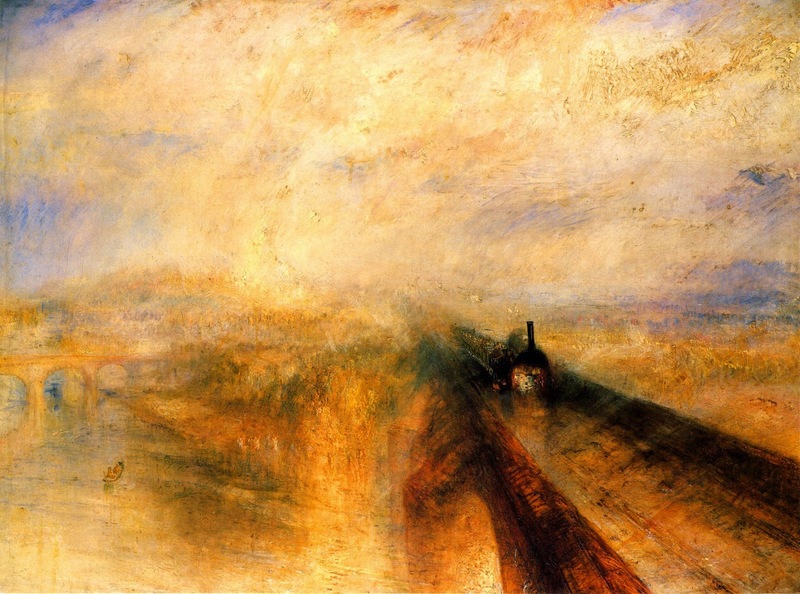 There is a major exhibition of the work of John Constable at the V&A, and a JMW Turner exhibition of Late Paintings at Tate Britain. A lecture looking at the late Victorian flowering of Native Craft Skills, in the face of increasing industrialization and standardization. 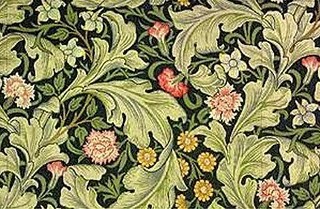 Led by William Morris and John Ruskin, who between them, aided and abetted by some of the greatest artists of the period (Rossetti, Burne-Jones, Walter Crane), effected a sea-change in design which would have echoes across Europe for almost a century, and, in the process, created some of the most beautiful art and artifacts ever made. A feast for the eye, the heart, the mind and the soul. A lecture, featuring the most gorgeous images imaginable, exploring the work of this most influential of artists. The centre of the artistic whirlwind which was Vienna at the very beginning of the 20th Century, Klimt was a founder member of the Vienna Secession, which embodied the exotic local flowering of international Art Nouveau. 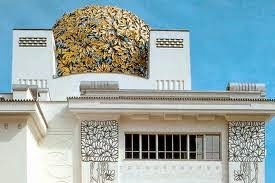 With the architects Josef Maria Olbrich, Joseph Hoffman and Otto Wagner, and the designer Koloman Moser, Klimt revolutionized the Fine and Decorative Arts in Northern Europe, providing inspiration for generations of artists to come, a legacy passed on via the highly-influential Wiener Werkstatte. 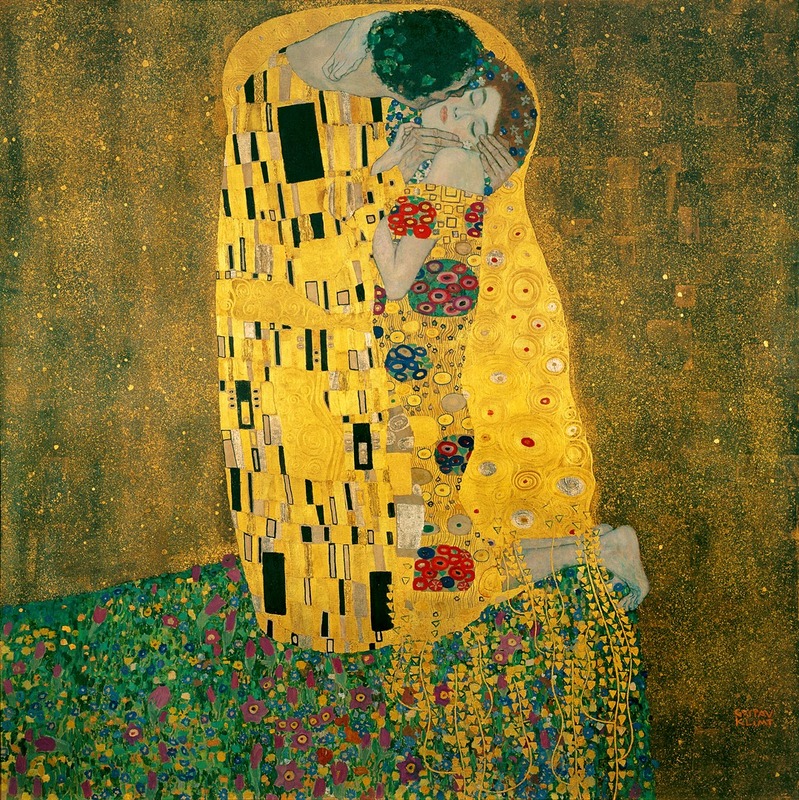 In his subject matter and scandalous private life Klimt had a powerful effect on such younger artists as Egon Schiele and Oskar Kokoshka, contributing to the ethos of the Expressionist movement in Austria, Germany and elsewhere. Almost incidentally, these artists created a form which contained the seeds of Art Deco, and which thus managed to be key to the period style of the 1920s and ‘30s. 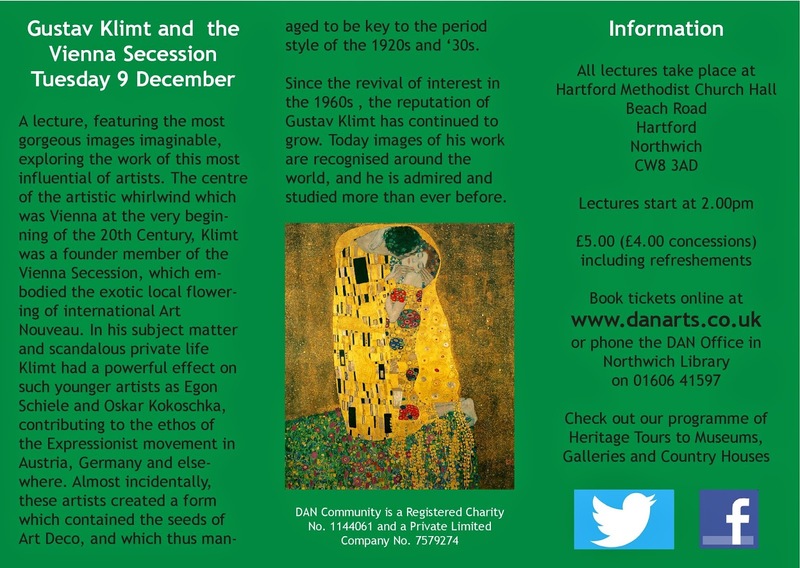 Since the revival of interest in the 1960s , the reputation of Gustav Klimt has continued to grow. 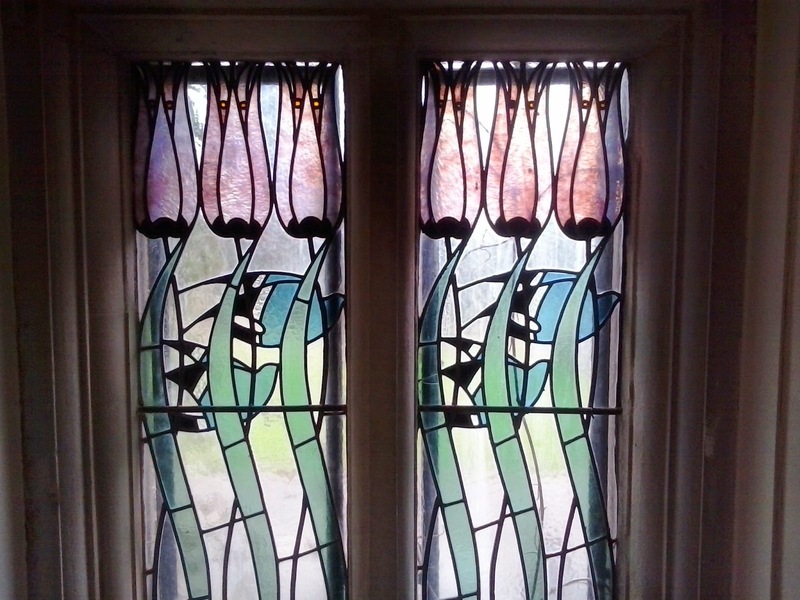 Today images of his work are recognised around the world, and he is admired and studied more than ever before.